1) So Glenn, you have been DJing since 72, that’s a hell of a long time, how has the digital revolution impacted on the way you DJ? 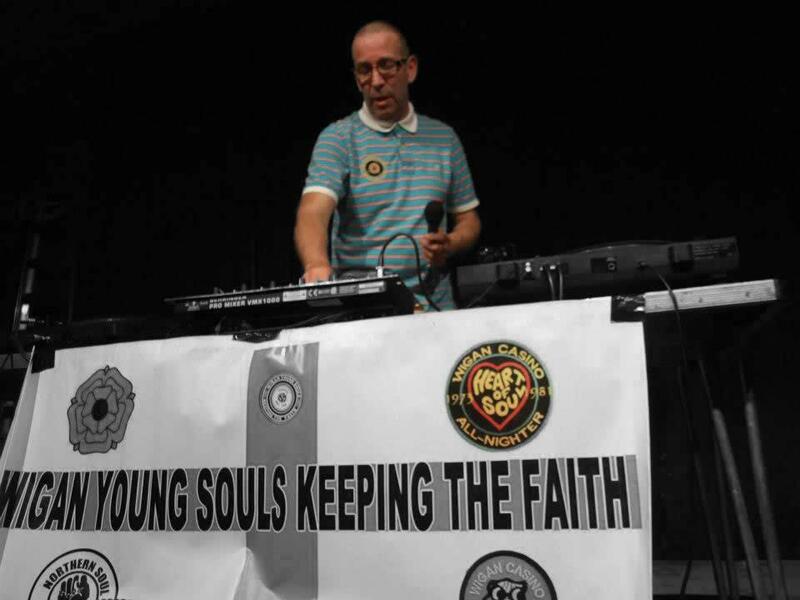 The digital revolution has impacted in many ways on the way I DJ in all forms of music with the exception of Northern Soul. It has made remixing records easier and making your own productions a whole lot easier . Of course Northern Soul has a policy of vinyl only in most venues so that particular format has changed little in it’s 40 odd year run . Of course as a Radio DJ the digital revolution has enabled Artists to send tracks to me to air on my shows almost instantly which is wonderful. All in all it has had a very positive impact on my personal career . 2) On your Guildradio show is there one record or maybe two records which frequently get requested by your listeners? 3) As a vinyl lover, do you ever download tracks or do you think downloading is the work of the devil? As a vinyl lover I have no objection to downloading as sometimes a download is something I have been unable to obtain on vinyl , I realise some people object to downloading and I understand their objections , however again as a Radio DJ it is my duty to expose artists and get them heard and I will do that any way I can . 4) I heard once that “God is a DJ”, other than God, are there any DJs you look up to or would like to work with? I do not look up to any DJ as luckily I work amongst all the top named DJ’s in my various fields , I work with and for Richard Searling on the Northern Soul scene and to many he is considered THEE GOD of the genre , to me he is a lifelong personal friend , An absolute gentleman , A colleague and A man I truly respect more than many , there are other DJ’s however I admire and love to work alongside such as GINGER TAYLOR , DAVE EVISON , NIGE BROWN , OZZ and several others , if your question is in a way asking who is your IDOL then it is very simple for me to answer the question ………….. It is Johann Sebastian Strauss………You may ask why ?……… but that also is simple to answer STRAUSS did NOTHING but make people dance and I believe that is also my vocation in life as a disc jockey and there is no doubt in my mind had Strauss been alive today HE WOULD be a DJ. 5) As a Northern Soul DJ, what’s the best aspect about doing those all-nighters? 6) Frank Wilson “Do I love you” is often deemed as Northern Soul’s most popular track and for record collectors is considered the ultimate rarity as only two genuine copies are known to exist. Do you think that the price tag of £25,742 for one of those copies was justified or perhaps a little over the top? As for ” Do I love You ” there is actually 3 known copies in existence , and the price tag is justified and it will certainly increase in price with his recent passing , there are in fact other records that have only had one or two copies ever issued but have not commanded the same value yet , The reason for the price tag on Frank Wilson is because it is one of the most popular Northern Soul songs of all time whereas the other records of similar rarity are popular but not to the extent the Frank Wilson track is , incidentally I have an English demo of ” Do I Love You ” by Frank Wilson and when he personally signed it for me , He stated he would NEVER sign another , it makes me wonder now of the value of my own copy . Thank you Glenn for your time.You certainly know your stuff! Glenn deserves all the attention he’s getting now he’s one of the DJs with the unique talent of knowing what and when to play a tune but that takes attention to detail and being a total professional understanding what the audience wants a true entertainer and a great chap.